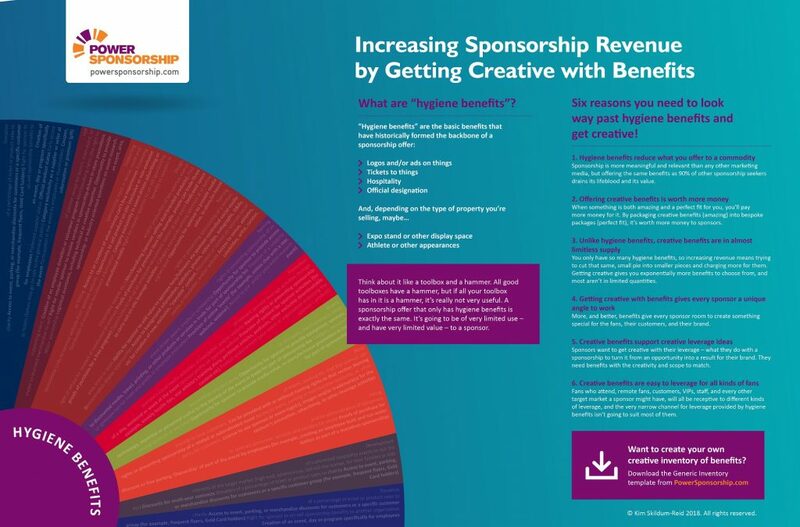 After writing my recent blog, How to Increase Sponsorship Revenue: Getting Creative with Benefits, I realised that there was a great way to visually convey the power of creative benefits, ended up with the infographic below. If you click on it, you’ll be taken to a full-sized version. This is a powerful illustration of how getting creative with the benefits you offer around your sponsorships increases your revenue potential exponentially, because it isn’t about cutting the same pie into smaller and smaller pieces, then trying to get more money for them. No, it’s about making the entire pie bigger.